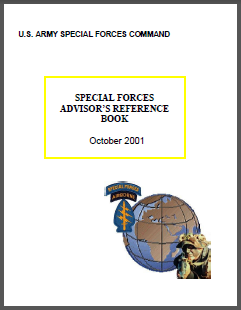 A handbook on advising published for the Special Forces Command in October 2001 by Research Planning, Inc. has a section on service culture (Army, Navy, Marines, etc.). 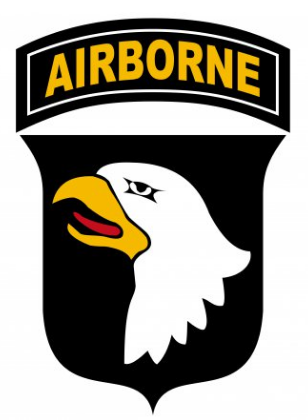 The handbook, Special Forces Advisor’s Reference Book, is designed to help Special Forces (Green Berets) advise troops of foreign nations. It also has a section on interoperability with other U.S. services – which, although true, is somewhat impolite. The Navy is very ‘traditional’, the Marines ‘elitist’, and the Air Force hung up on technology. A new Army manual on advising also has a section on inter-service culture but it is somewhat more conservative in its descriptions of the other services. This new book is Special Forces Advisor Guide, TC 31-73, July 2008. Read more in “The Green Beret’s Advising Guidebook Labels Marines as ‘Elitists'”, War is Boring, August 8, 2016.